The prospect of you or a loved one moving into a care home can be daunting. While the chances of this happening are relatively small (according to the Office For National Statistics just 3.2% of over 65s were living in care in 2011), the costs can be crippling, which is why it is worth considering what you may be able to do to more effectively manage this risk . 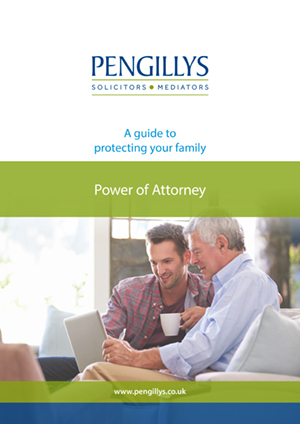 Power of attorney – it is important to ensure that someone you trust can manage your affairs in the event of you no longer being able to make your own decisions. If you already have one in place, ensure it is up to date. Funding – if you have assets, they will be needed to fund your care. Where you have a pension your assets will be needed to top up. It is possible to change investments, let out properties and fund the cost of care directly. Insurance – if you have a lump sum it is possible to pay an insurance company, subject to terms and conditions including a medical, then the insurance company will then pay your care fees for your lifetime. It is not possible to give assets away in order to avoid home fees. Neither is it possible to set up a trust in order to avoid home fees. If you receive any advice to the contrary, be very wary and contact us for further clarification. There are trust schemes claiming that your assets can be put into a trust and home fees avoided. This cannot work. Care home cost planning can be complex and there are many options, so it would be wise to discuss your concerns with us sooner rather than later. Please contact us to find out more.